CARFAX 1-Owner, GREAT MILES 13,122! FUEL EFFICIENT 29 MPG Hwy/23 MPG City! Heated Leather Seats, Navigation, Sunroof, Premium Sound System, Satellite Radio, iPod/MP3 Input, Alloy Wheels, ENGINE: 2.0L TI-VCT GDI I-4,4x4 AND MORE! ENGINE: 2.0L TI-VCT GDI I-4 auto start-stop technology (STD). 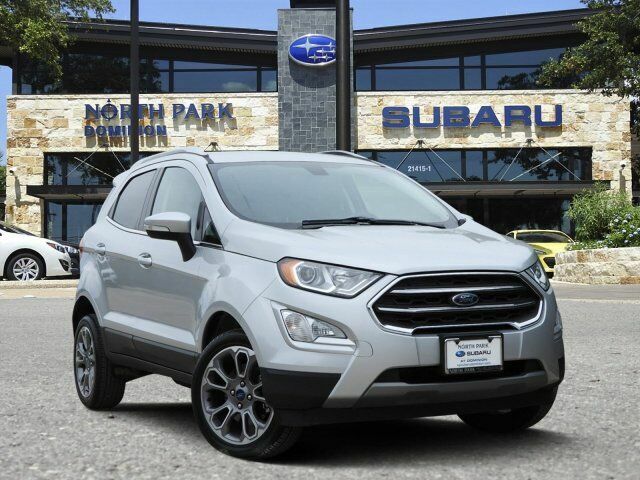 Ford Titanium with Moondust Silver Metallic exterior and Medium Light Stone interior features a 4 Cylinder Engine with 166 HP at 6500 RPM*.